How to Create Catchy Slogans and a Safety Slogans for the Workplace. 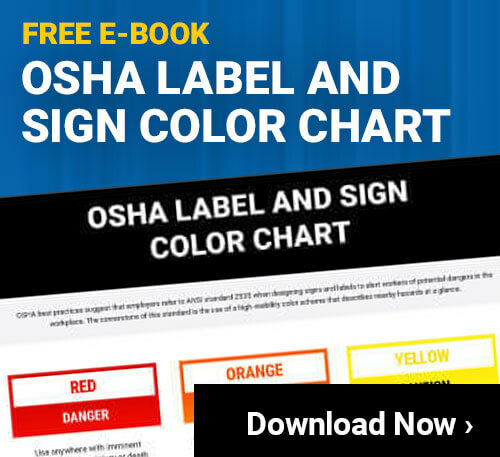 Most factories, warehouses, or other manufacturing production facilities are potentially hazardous environments, and the need for clear, motivating banners and signs and caution labels is obvious. Whether it be fire safety banners in a physical plant, acid leak or steam blast markers in a mill, or even bad posture signs in an office, the managers and supervisors charged with the task of encouraging occupational safety and promoting a healthy workplace are always in need of catchy and/or humorous slogans to keep ideas from becoming stale and unnoticed by workers. But, how can a sign attract employee eyes day after day? First, changing the phrase frequently is a great way to keep things fresh. Make it an event. Try changing the sign at odd intervals (maybe on a Tuesday evening one week, and then on a Wednesday morning the next), and give facility-wide recognition or a reward to the first worker who notices the new slogan or offers up a new motto. Next, make your slogans eye-catching and interesting. A boring sign will do just that--bore the viewer and cause them to forget the idea it means to convey. Be original: be humorous or be BOLD! Use a funny play on words or rhyme. Keep the slogans catchy, though! "USE YOUR HEAD. OR LOSE IT." "Watch Out For Steam. Or Buy Burn Cream." "Honk! It Could Save a Life." "Use the Right Tool for the Job!" "Lift With Your Legs. Your Back Will Thank You." Obviously, some sensitivity may be needed when making these signs; if someone has recently been injured or has died on the job, it might not be a great idea to make a funny sign regarding the cause of that person's injury. Use your common sense and gauge the attitude in your company--but don't be afraid to be innovative and a champion for a safer workplace!